Get a new 1-2 hour long tutorial every week!!! What the heck is Patreon and why do you keep talking about it?! 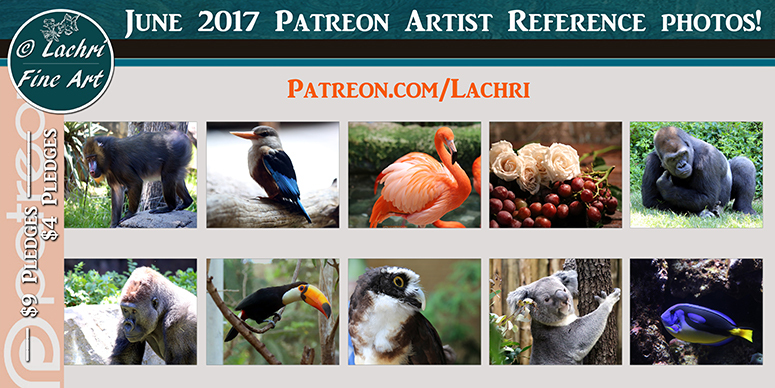 Patreon is a website that allows me to offer one to two hour-long weekly painting and drawing tutorials and other artist rewards to a large number of people at a very low cost. It’s the perfect platform because we all benefit! You get to save a lot of money on my weekly art lessons and in turn, you allow me to keep upgrading my equipment, pay rent, and make even more videos. It’s an endless cycle of awesome!! WHAT?! I like rewards!!! What do I get in addition to the tutorials?! I’m glad you asked (because otherwise this would be the shortest page on my entire website, and that’s just sad). You can choose to sign up for the $4/month or $9/month tier each with a different set of rewards! YAY STUFF! When you sign up at $4 or more a month, you get instant access to over 100 of my past 1-2 hour long tutorials plus a new lesson every single week! These videos are slowed down to real time for some sections and slightly sped up for others. I will explain what I’m doing and why I make certain decisions in the process while I work. With these videos being so much slower than my usual youtube videos you will have an easier time understanding my layering, blending and other techniques. These tutorials vary in medium each week. I rotate between Colored Pencil, Acrylic Painting, Oil Painting, Graphite and Inktense with the occasional Pigment Marker lesson mixed in. Each month I provide you with 5 reference photos I’ve taken myself! These photos are usually either wildlife or still life. You can use them in your own paintings or drawings! Make sure you download yours each month because I delete the previous month to make room for the next batch of new photos! When pledging $9/month, in addition to the 1-2 hour long weekly tutorials (and don’t forget about over 100 past 1-2 hour long tutorials), you also get these extras! 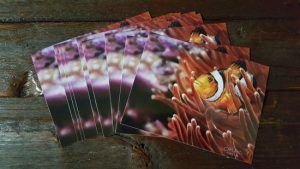 Each Month you get a new postcard with one of my paintings or drawings printed on it! These postcards are sent the month following the month they are for (September cards go out in October etc), well they do when I’m healthy, lately, I’ve been later than usual, but I’m getting caught up! That means you get a total of 10 new reference photos each month! Participate in a monthly art challenge designed to help you grow as an artist. Want extra advice on your art challenge painting or drawing? You will have access to a private facebook group only open for those participating in the challenge where you can post photos of your work in progress and/or ask me questions on your art challenge painting/drawing. You can then choose to have your challenge painting or drawing included shared in my art challenge vlogs on youtube! This sounds like the best deal EVER!! How do I sign up?! Well wait a minute, What if I change my mind? That’s no problem at all! You’re free to cancel at any time. I promise this isn’t like a gym membership that won’t set you free! Patreon makes it very easy to cancel or change your pledge. Just go to your account settings and make any adjustments you like!